The holidays are behind us and it’s back to the grind of daily life – with the added fun of all of the resolutions we made for ourselves and our families at the end of 2018! But what about resolutions for our furrier family members? Resolve to train your dog to be better behaved in 2019. There are a few things that you can do on your own, or it may be time to call in an expert… Sometimes it turns out that the one that really needs training is us! Looking to train your dog at home? These tips will help you teach some new tricks (or break some bad habits). Be consistent. Agree on house rules. Make sure everyone training your dog or giving them commands follows those rules. Find the right incentive. Is your dog food-motivated? Do they respond to belly scratches with the most excitement? Find the best incentive for your pup, then act accordingly. Save that special type of treat or scratch for official training sessions. Make sure your dog understands a few basic commands. If you can train your pup to sit, stay, come, and rest (or return to their “home base”, whether that be a room or a bed), you can teach them a host of other commands. Train in steps. Build up to more complicated commands. If your dog can master learning the name of a toy, that’s the first step in teaching him to fetch it, drop it, or even someday clean that toy up and put it back in its bin. Use plenty of positive reinforcement. Dogs have limited attention spans, though you’ll be surprised how much they can handle! Positively reinforce good behavior immediately when it happens. Ignore behaviors you do not want to continue. If you’ve tried the basics and your dog is still struggling in one or more areas, it might be time to call in a professional. Choosing the right one depends on the resolution you are making for your pup. If your dog responds to one master, but others struggle to command, you may want a trainer to work with your entire family in your home. If your dog is having difficulty with common commands or attention span, a doggy boot camp might be the most helpful plan. Advances in Animal Behavior teaches a wide variety of group classes inside the Pawsitively Heaven Pet Resort. Animal Sense offers several options from behavior consultations to group classes to private training sessions. They use positive reinforcement techniques and have locations near both O’Hare and Midway as well as a few city locations. Bark Buster’s trainers come to your home to help train your dog, as well as teaching you body language and vocal cues. Black Dog offers personal training, semi-personal training (up to three dogs), training and cooperation classes, and American Kennel Club Canine Good Citizen certification. Camp Bow Wow offers dog training services in addition to boarding. These training services include enrichment programs, three levels of obedience classes, and in-camp and private training. Canine Obedience College offers obedience classes, boot camps, private lessons, and boarding. Dog Gone Good services towns south and west of Chicago, and offers in-home dog training, group classes, and phone consultations. Dog Training Now! opened in 2012 and offers classes for puppies, general obedience classes, potty training programs, refresher training for graduated dogs, and precursors to therapy dog certification. They offer puppy classes, various group training classes, American Kennel Club Canine Good Citizen certification, and pack walks for socialization. Kevin is an individual trainer who offers free in-home dog evaluations and focuses primarily on off-leash training. Private training, board-and-train, and group classes led by certified trainer Susie Mazzorana. This Sit Means Sit franchise offers board-and-train, private lessons, group classes, and day train options. Smart Dogs Dog Training and Lodging offers in-home dog training as well as puppy training and dog training camps. Suburban K9 offers dog boot camp, in-home dog training, consultations and puppy proofing, and training seminars. Tanya Mikolajcyzk leads a dog training program, plus private lessons, through the Frankfort Park District. Tail Waggin’ offers individual training while you’re away, or hour-long sessions with you and your dog. Classes are offered Monday through Friday. 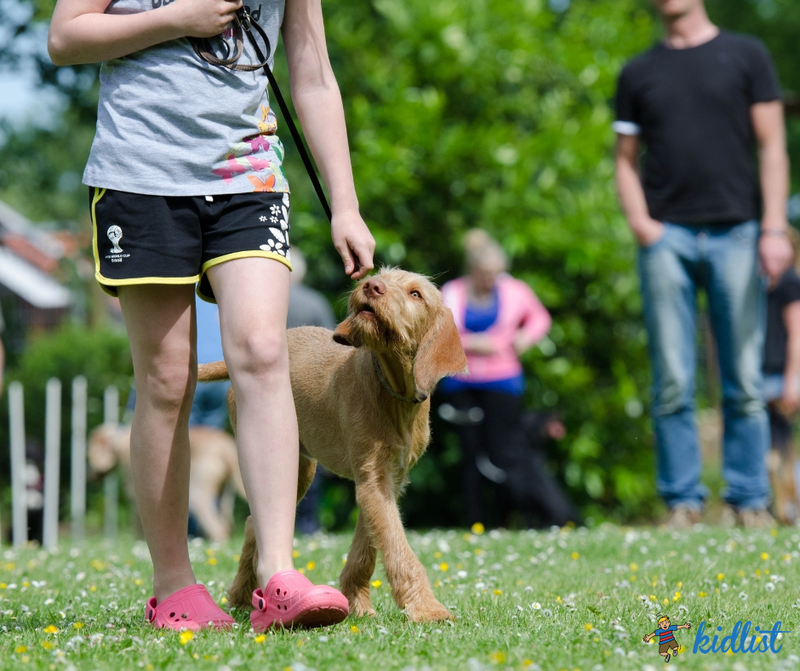 Topics include puppy training, basic and advanced obedience training, difficult or aggressive dog training, and agility building. The Furry Friends guide is our local resource for dog owners in Chicago’s west and south suburbs, sponsored by Robert Hutchison! Be the first to comment on "5 Tips to Train Your Dog at Home (and Where to Find an Expert)"